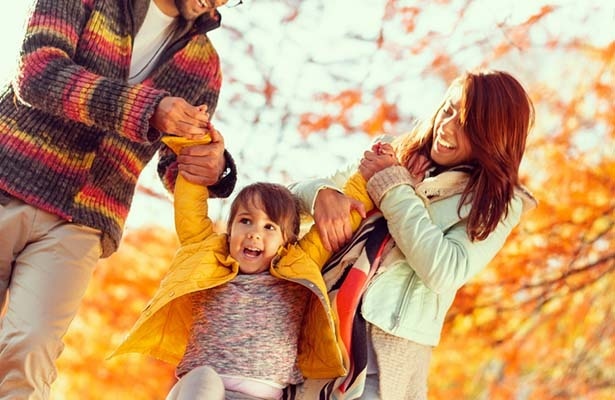 As the weather gets colder and the kids are going outside less and less, parents are looking for fun fall activities to enjoy as a family. These Christian fall activities for kids are a great way to teach your children life lessons and have fun while doing it. 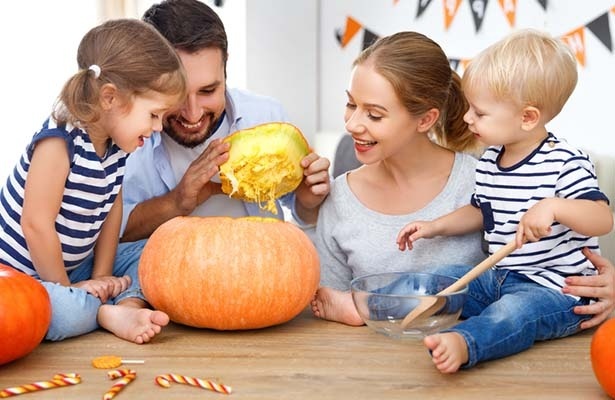 This fall, be a witness to your neighbors and have fun with your kids by carving your pumpkins with something a little more meaningful than a Jack-o-Lantern scowl. 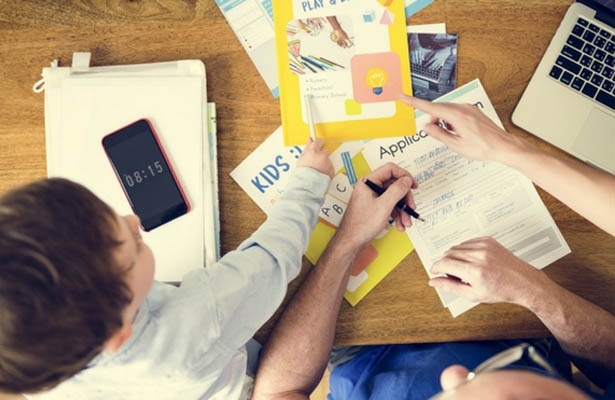 Whether you outline a Bible verse, a cross, or a Christian fish, use this time with your kids to get a little messy and talk about the hope of Jesus Christ. When neighbors come to visit, your unique pumpkins are sure to be noticed. Halloween can be a frightening time for young children and concerning for many Christian families. If your kids want to dress up and get some candy in an environment that’s all treats and no tricks, check out churches in your area that are hosting fall festivals or “harvest festivals” instead. This is a great activity to invite your non-believer friends to as well! Fun, wholesome, and not at all scary, these are great indoor events that share the love of Jesus and the fall holiday spirit. October is Breast Cancer Awareness month, a time where grown-ups are raising awareness and funds to help loved ones beat cancer. Why not involve your kids? Grab construction paper in various shades of pink and cut 2-3 inch strips. Together, write out prayers for women working to defeat breast cancer - including any your family know personally - then wrap the strips around each other to form a classic paper chain.This is a great activity to show support for an important cause and teach your kids the power of prayer. As the leaves turn beautiful colors, don’t just watch them fall - go on a leaf hunt with your kids! For every hue of red, orange and yellow, ask your children to write down one thing they’re thankful for. When you get home, write them all down on paper leaves and create a thankfulness tree! The mix of gratitude and nature in this family project will make you smile all season long. As the weather gets colder, our fine-feathered-friends have to work extra hard to find food. Why not make a special feast for them in your backyard? This project is not only fun, but it will help bring God’s creation right to your doorstep even when it’s too cold to go outside and play. 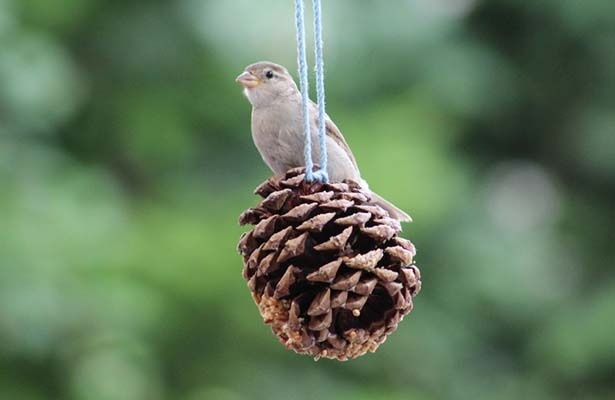 Just visit a park and enjoy a short pinecone hunt - find a good sized one for each child - and return home to make your bird feeders. You’ll need some string to hang them up, peanut butter (or an alternative if you have allergies), and a bag of bird seed (you can find this in most pet and grocery stores). Cover the pinecones in peanut butter and roll them in bird seed, and you have some quick and effective bird feeders for your yard. We bring out our advent calendars as soon as Thanksgiving ends, but we shouldn’t forget that Thanksgiving is a holiday in its own right! Get your whole family excited with a creative countdown. A paper chain, a turkey with countdown feathers, or a calendar with gratitude Bible verses are all great ideas. Grab some blankets, pillows and apple cider for this great indoor activity. Movie nights are fun on their own, but you can make this family movie night extra special by making it a family activity just to set up! Together, build a cozy pillow fort in the living room. Even if your television doesn’t fit, you can watch a family movie on PureFlix.com on your laptop or tablet.